The houses here are stately, stunning, and inviting so Colleton River Real Estate and Homes For Sale is the place to check out the attraction of the Top-Rated Golf Digest neighborhood. Some homes offer fantastic views of the Nicklaus Golf Course. Many homes have four bedrooms and three-and-a-half baths--complete with frameless shower glass-- and also feature gourmet kitchens with marble countertops, butler’s pantry, hardwood floors, fireplaces, and dual staircases. An extra attraction might be cathedral ceilings with exposed wood planking on various rooms. Bottom line: exquisite and tasteful! On your morning and/or afternoon strolls around the Colleton River area, look for the pindo, wine, and jelly palms. See how many wild date palms, and India date palms you can spot. Nothing is as beautiful as Asian jasmine, California fan palm, crybaby, cockspur, fireman’s cap tree, and Brazilian coral trees. Take a notebook with you and identify these species. Or look for birds found in this area: they are always here, whether they be Carolina, house, winter, sedge, or marsh wrens. If you’re lucky, you’ll also spot various owls: barn, great horned, barred, or short-eared. 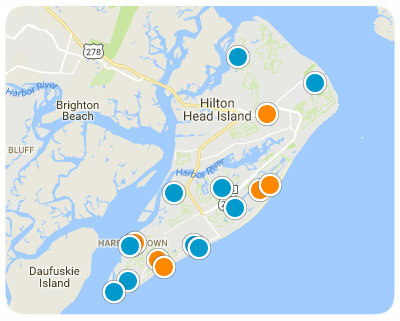 Updated every 5 minutes with the latest real estate for sale - including MLS listings, homes, condos, townhomes, investment property, and land - as posted by Colleton River real estate agents and brokers - over 30% more listings than Zillow, Realtor, Trulia, and Redfin. 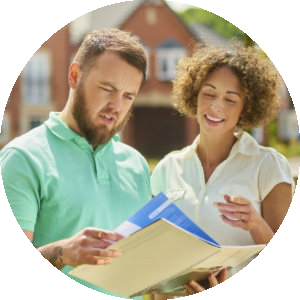 We have a direct MLS feed that updates hourly - the portals do not and do not display many listings of homes for sale accurately! Get Signed Up Now to receive new listings, price changes, and recent sales prices - with the ability to get daily, weekly, bi-weekly, or monthly email updates. Get Signed Up Now and get the latest tax and HUD foreclosures, REO properties, bank owned homes, and short sales being offered at HUGE price reductions and significantly lower than retail value. Championship golf, fitness, and tennis are at the heart of the Plantation. But in addition to this active lifestyle, the welcoming gated community offers members everything they could need and more. The scenery has captured the hearts of many visitors, residents, artists, and photographers, and several famous films have been shot here. Robert Redford even chose CR as the setting for his fantasy, “The Legend of Bagger Vance.” West Fraser, Ray Ellis, and William Armstrong are among the talented artists that have found their muse in CR. Each artist was inspired to render stunning landscapes of the golf courses and other scenery at the Plantation. This neighborhood is highly known for the active lifestyle it provides, as well as its welcoming members, luxurious amenities, and calm, relaxing atmosphere. The Plantation was established by the CR Development Company in 1990. The principals of this group also own and operate other esteemed properties, such as The Jefferson Hotel in Richmond, the Inn at Harbour Town in Hilton Head, and The Hermitage Hotel in Nashville. The developers only had one vision in mind when building, and that was to become one of the best residential club communities in America. CR is continuously recognized for its unique architecture and superior membership experience and was given the Platinum Club Award, in recognition as one of the Top 15 Private Residential Communities in the United States, in 2009. The Plantation is located in Bluffton, South Carolina, about 30 miles from Savannah. This private community is situated on 1,500 acres of land, with water surrounding it on three sides. CR has access to seven miles of beautiful shorelines and the Atlantic Ocean via the Port Royal Sound. The area has been a sportsman’s paradise for generations because of its incredible views and ideal geographical location. The area where CR is located has a humid, subtropical climate. Daytime temperatures can range from 86-93 degrees Fahrenheit in the summer, while the winters tend to be less uniform. CR has mild winters, due to its coastal location. This is compared to inland cities, which tend to have colder temperatures, often reaching well below freezing. Precipitation is frequent, with summer typically being the wettest month of the year. Snowfall is fairly uncommon in the area. The State of South Carolina is sometimes affected by tropical hurricanes and cyclones, with the annual hurricane season lasting from June 1 to November 30. CR is conveniently located near several cities, each of which offers a wealth of cultural experiences, dining venues, entertainment, and shopping. Some of the country’s finest designers can be found just minutes from CR. Residents of CR can spend a day enjoying luxury shopping, or just pop into town to get groceries. Within the CR community, there are many dining options available for all tastes. The upscale neighborhood contains the Nicklaus Clubhouse, where residents can enjoy complimentary coffee and muffins. The Nicklaus Clubhouse also serves breakfast and lunch whenever the Nicklaus Course is open. In addition to the numerous options housed within the community of CR, the neighborhood is also within minutes of more than 250 local restaurants and cafes. CR offers members many different clubs to take part in, including the Single Malt Society and the Ladies’ Sippin’ Society. While not necessarily embarking on a wild night out, members of these clubs taste fine scotches and wines from around the world over dinner at their monthly meetings. Events regularly take place in the community, including Symphony Night, Couples Twilight Golf, Community Dock Parties, and holiday celebrations. In addition to the many activities that might take place on a night in CR, the neighborhood is also within minutes of multiple taverns, wine bars, and pubs. With its location near several cities, CR members have access to multiple different schools. From preschool all the way through high school, children of CR can easily get a quality education at several different private and public schools. The primary landmarks at CR Plantation are the neighborhood’s award-winning golf courses. This neighborhood was voted Best Residential Gold Community in South Carolina and is now celebrating its 20th year. CR is also a scenic destination, with miles of idyllic shorelines on the Atlantic Ocean. The neighborhood itself has received notable recognition for its golf courses, distinctive custom homes, and its pristine Lowcountry location, but the neighborhood is also within a short distance from several local landmarks. 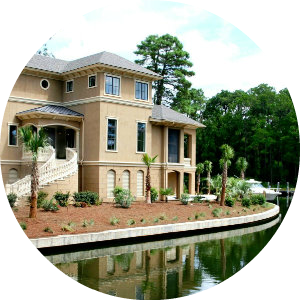 Find Colleton River Properties Today! With only 750 home sites, members have uncrowded access to the many amenities provided in this premier gated community. Because of its spectacular golf courses, CR is a sportsman’s dream, but it is also an ideal community for families. The close-knit community hosts events throughout the year, giving new residents the opportunity to bond with their neighbors and find new ways to get the most out of what some say is the finest land in South Carolina. This neighborhood offers buyers custom homes, condos, and lots that are privately owned in the gated community. Our team at The Pattisall Group can help you find exactly what you're looking for! Be the first to know when new short sales, foreclosures, deeply discounted homes, and brand new hot properties come onto the market before anyone else - over 30% more listings than Trulia, Zillow, and Realtor.com.